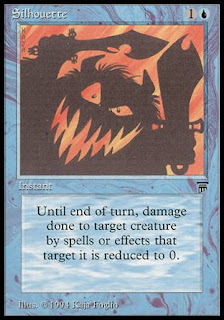 After playing, collecting & selling MtG from 1995 till the summer of 2000 I sold all my cards. it was time to venture into other games, eventually this would be poker. In the years that followed, once every couple of years we would play a booster draft but that was just about it. 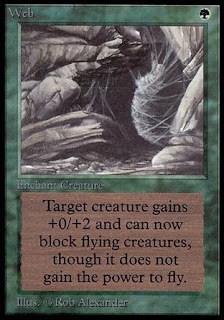 I loved MtG when I started (just after Ice Age was released) but when the popularity of MtG shifted from "Type 1" to "Type 2" most of the fun was over for me. I never regretted selling all my cards but I never forgot the fun I had playing Type 1 tournaments. those were some sweet memories. If one would argue that I have been lazy updating the Decks to Beat page, one would have merit. Of course, I have a sack filled with excuses to for that very purpose. But excuses is not why we're here. We're here for tech, and I've sorted the top decks from Ivory Cup 2, Scandinavian Championships, Alphaspelen 3, The Horrible Horse Gathering, Fishliver Oil Cup Ed. 1, and BSK 2017. Three lists are still missing, but nonetheless we have 49 new Decks to Beat collected. 35 participants, photos of 7/8 decks. The second edition of Stockholm's annual Ivory Cup was a smashing gathering. The attendance had risen since last year, as had the powerful cards. Erhnam Djinns faced of each others in the finals, leaving strategys like Atog Burn, The Deck and Dead Guy in their trail. 48 participants, photos of 6/8 decks. November has passed, and for those of us living in the North the darkness is truly upon us. As Old School goes, this month included among others the first 93/94 Team Championship in London, the long established Swedish BSK tournament, the French National Championship, the Horrible Horse Gathering in Oslo, and one of the final tournaments in Liga Catalana Old School in Spain. Lets take a dive. The web page for the upcoming World Championship at n00bcon is up and running. A stunningly modern collection of hypertext compared to last year, and a casual surfer might feel like it's 1998 already. Music City Old School Mtg We have a new blag in the blogosphere! 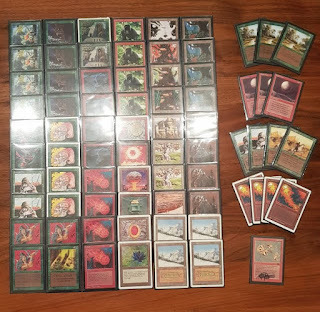 Music City Old School Mtg chronicles the budding community in Nashville, Tennessee. Four posts and a lot of musings in the last month. Check it out! Q: Can my opponent do something that doesn’t make sense, such as casting both Holy Strength and Unholy Strength on his Air Elemental? A: Yes, these effects are magical, after all. A few weeks back, a couple of guys from the Oslo community asked if I could help set up a 93/94 tournament during the Oslo Eternal Winter. That was an easy yes. It had been a while since I hosted a Gathering, especially as Svante Landgraf took over the recent BSK, so it felt like a good time to get off the horse and do something. I think I might have a slightly different approach for hosting tournaments than most real organizers of proper formats. But I guess that the core obstacles are the same. Location, location, location. Participants. Refreshments, prizes, something unexpected. This might be as good a time as any for me to rant about some of my experiences hosting, so let's start with that.